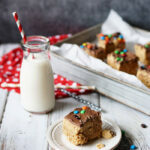 Totally decadent, over the top, loaded peanut butter rice crispy treats. 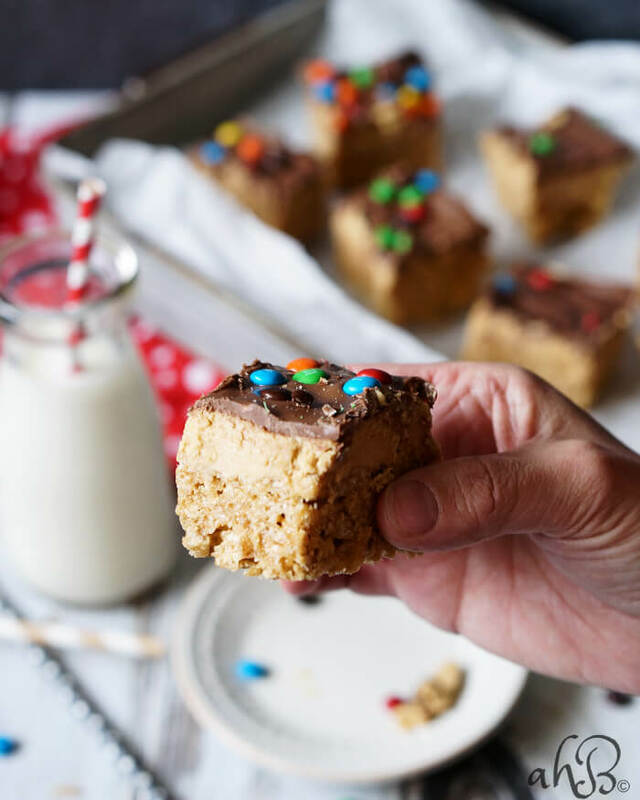 Chewy peanut butter rice crispy treats are layered with peanut butter cup filling, then topped with melted chocolate and m and m’s. 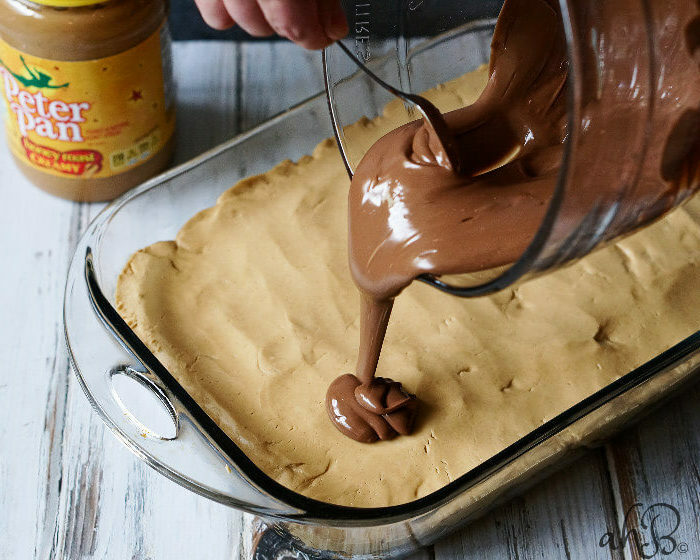 These no bake beauties aren’t for the faint of heart, but are a must make for any peanut butter lover. I noticed this week that I was becoming pretty predictable with my summer AHB recipes. A little fruit, a simple pastry or cake batter, a tasty glaze and boom, summer recipe. 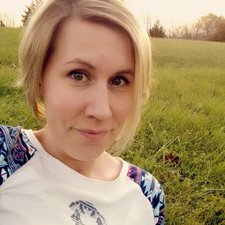 This week I wanted to break out of the mold. I decided that I either wanted to make something really healthy and refreshing or something terribly decadent and over the top. Yeah, sorry about that. The sweet usually wins out, especially this week. This week was a monumental week in my household, our oldest child got their first car. Having a kid that is old enough to be out on their own going places feels crazy…and terrifying. And it makes me feel darn stinking old! But if that weren’t enough, the day after that some teenage boy gave me my senior citizens discount at the grocery store! (I’m still in my 30’s) I cried. It was ridiculous. And then I came home and ate a loaded peanut butter rice crispy treat. I swear it was good timing for these to be in my house this week. LOL. When life gets rough, just pour some chocolate on it, that’s what I say. So here’s to the days when silly things make us cry. May you break out the chocolate and peanut butter, break up the sadness, and move on to greater things! 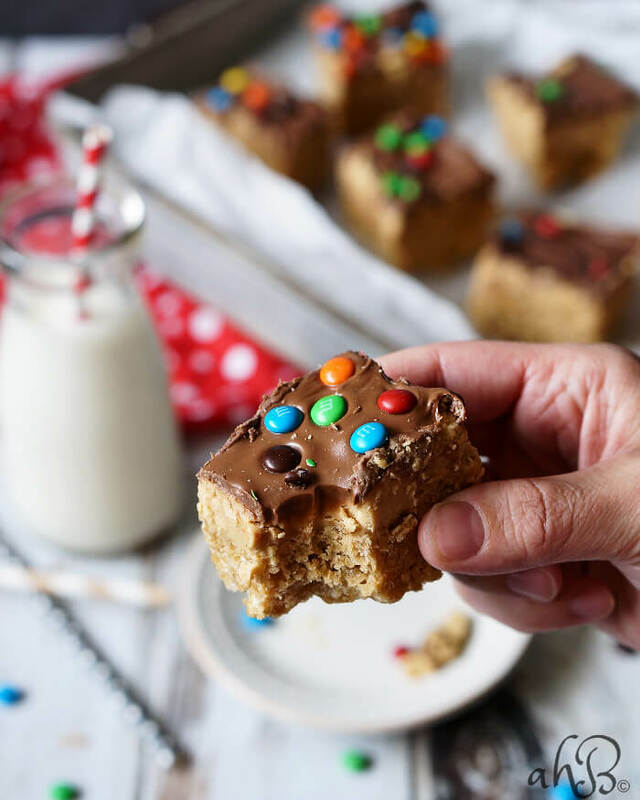 Chewy peanut butter rice crispy treats are layered with peanut butter cup filling, then topped with melted chocolate and m and m's. In a saucepan, cook together the corn syrup and sugar over medium heat stirring frequently until the mixture comes to a boil. Remove from the heat and stir in one cup of peanut butter. Mix in 6 cups of crisp rice cereal. Press the mixture into a well greased 9x13 inch pan. In a mixing bowl, combine the remaining 1 1/2 cups peanut butter, melted butter and powdered sugar. Smooth the peanut butter topping evenly over the rice crispy treats. Place the chocolate chips in a microwave safe bowl and microwave at 50% power in 30 second increments until the chocolate is completely melted and smooth. Pour the chocolate over the peanut butter filling and top with m and m's. Allow to cool completely to set up. These look so delicious. I wish I could get them right now. 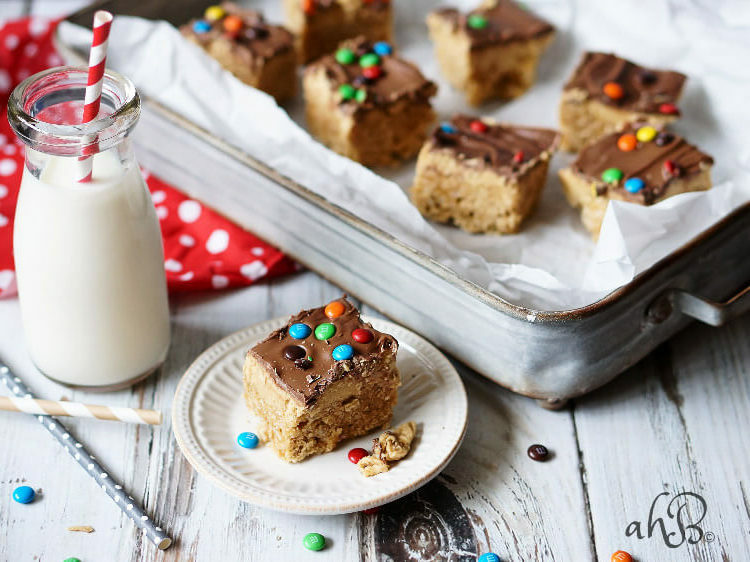 Krispie treats are my downfall…these look amazing! They are even better when you can convince someone else to make them and bring them to you! Bwahaha. My aunt brought these to a party soon after I posted the recipe and I was like oh my gosh these are so good. It was funny because she laughed at me and told me they were my recipe. I said I know but it always tastes better when you don’t have to do the work! I’ve never been one who loved plain rice krispie treats, but these I can get into! Yeah, these are anything but plain! These look like so much fun to make and of course SO delicious! Thanks Emily! This is one my kids love to help make because of just those reasons! mmmm! Peanut butter AND chocolate? These look like they’d be too good to share with kids. Hi Amy, I am looking for the triple butterscotch pound cake recipe you mentioned in your shrimp pasta salad recipe. Aw shucks, Janet! I’ve made that cake several times since then, but I’ve just never gotten around to photographing it and posting the recipe. I’m sorry. It will be the next one to go up! These look so good! I cannot wait to get moved and make them. Good luck with the move. I absolutely hate moving because it forces me to realize how much useless junk I’ve accumulated. These treats will be a perfect indulgence for when you get to put your feet up and enjoy the new house!